Mozilla is known for testing experimental features for its desktop browser app via Test Pilot Program for Firefox. Now, the company has expanded the program to mobile apps as well. 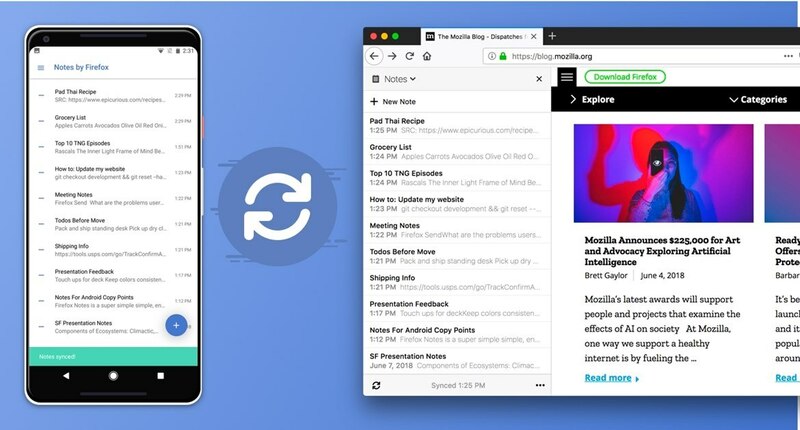 The official portal of Firefox Test Pilot has announced the launch of two new mobile apps, namely Firefox Lockbox and Notes by Firefox for testing purposes. Firefox Lockbox is a password manager app for iOS devices. Mozilla’s Firefox browser app is not particularly famous on iOS devices. Therefore, to attract iOS users, the company has plans to launch a full-fledged password manager app on the lines of Keychain. You can use any password you have saved in the browser to log into any account such as social media on iOS devices. Lockbox app will be connected to Firefox Sync for it. To ensure that the passwords are safe from any breach, 256-bit encryption will be used. The password manager app could be locked with Face ID or Touch ID. Notes by Firefox, as evident by the name, is a note taking app for Android devices. Notes you store on your mobile device or desktop using the browser plugin with the same name will be synced. The functionality of Notes by Firefox is similar to Google Keep which is also a standalone app as well as a browser plugin to sync notes seamlessly between devices. Mozilla’s note-taking app would include all the features you would expect from a decent note taking app. Users would need a Firefox Account to log in to the app. These apps are in an experimental phase and are not launched for the general public. However, Lockbox app can be downloaded for Apple App Store for testing. This is Mozilla’s maiden attempt at testing mobile apps, and it would be interesting to see whether the apps would receive a green signal from the testers and developers or not.